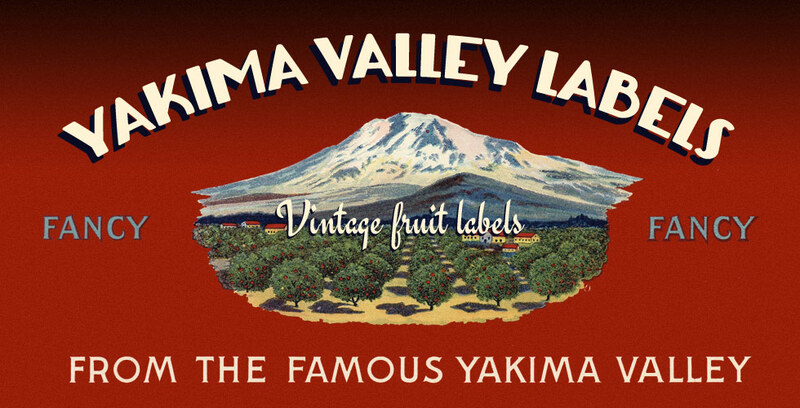 Welcome to Yakima Valley Labels. Browse our collection of vintage apple and pear fruit crate labels from the 1920s through the 1950s. In addition to providing an archive of early fruit advertising in the Pacific Northwest, we also sell a selection of original, quality fruit labels from a variety of shippers and packers. If you don't see a particular label, please contact us. If we don't have a label in inventory, we can probably find it. We do not and will not sell reproduction labels.